Do you know your Levi's 501 from your Levi's 511? Well, don't worry because help is at hand! 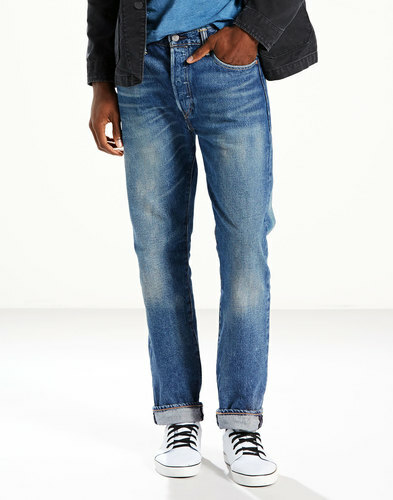 Here's a quick guide to Levi's® Jean's Men's fits and how to find the perfect fit to suit you. Levi's Jeans for men style a variety of jeans fits from the classic Levi's 501 original fit (Levi's most famous fit) through to the Levi's 519 - an extreme skinny fit, or a retro slim bootcut pair of jeans in the Levi's 527. See below for details info on fit, waist rise and look - with video demonstration! - and if you need any more help, please don't hesitate to contact us. 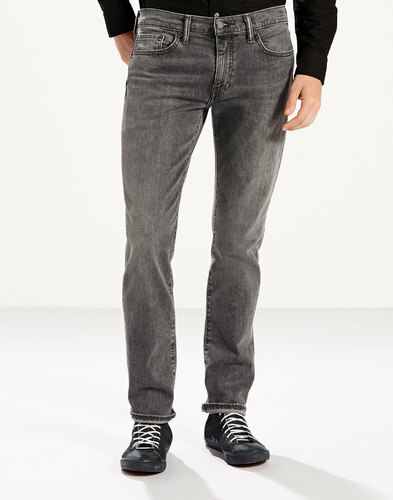 Levi's skinniest skinny fit jeans are the Levi's 519. 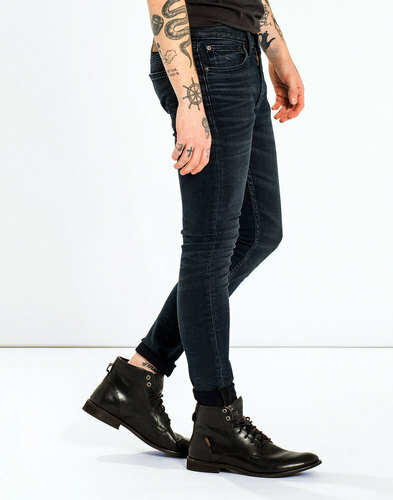 Not for the faint hearted, these tight drainpipe style jeans with a comfy low rise waist, sit below your waist and are tight fit from the hip, through the leg, ending in a tight ankle opening. They look fantastic worn with chelsea boots, for the ultimate retro rock and roll look! 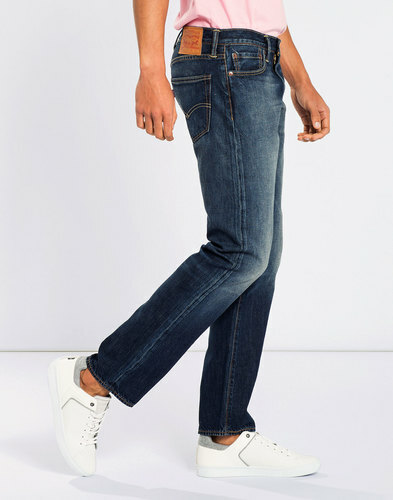 Levi's 510 jeans are a classic skinny fit jeans. Fitted, but not quite as tight as the Levi's 519, the 510 gives a cool shape and silhouette while also being comfortable. 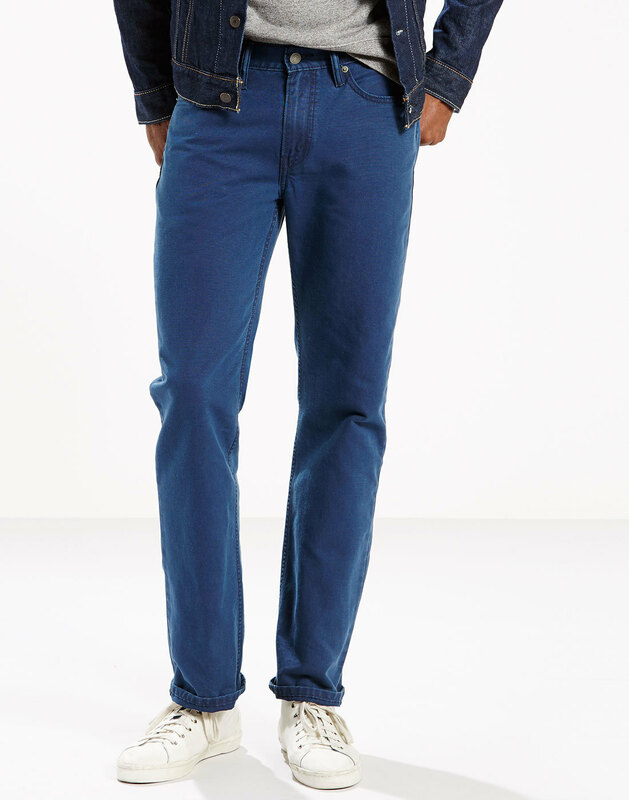 Fantastic everyday or night out jeans, this fit is one of the most popular in the Levi's range. If skinny isn't your style, but you still want a cool, modern take on a classic denim fit, the Levi's 511 may be the fit for you. 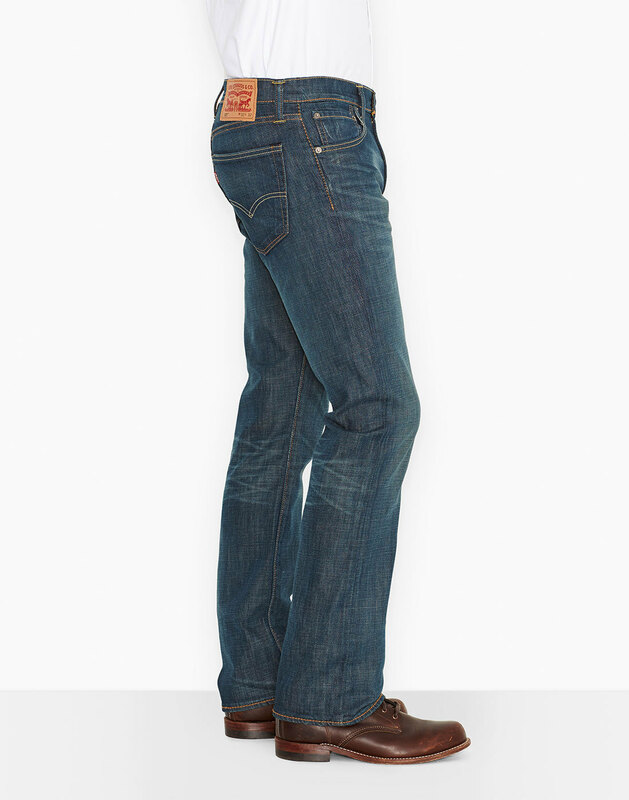 Slim, but not overly skinny, the Levi's 511 fits comfortably with a slim silhouette and a low rise waist. The Levi's 511 is one of the best selling and most popular Levi's fits, available in denim, different fabrics and shorts too. 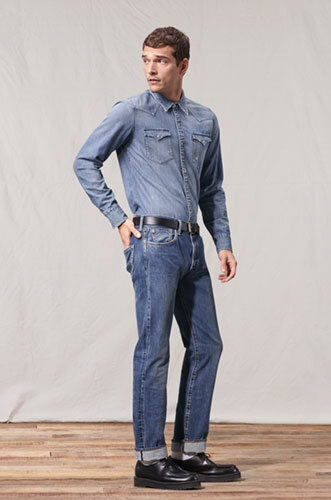 Along with the Levi's 511, the Levi's 512 is one of our most popular fits. A modern fit which offers a slim silhouette without being too slim or fitted. The main difference between the 512 and 511 is the tapered leg on the 512. Tapered is also known as a 'carrot' fit, where the leg tapers down to the ankle to give a slimmer leg opening. The Levi's 501 needs no introduction! The original Levi's Jeans, the 501 has been in the Levi's range since the first pair of Levi's blue jeans was created in the late 1800s. This authentic, vintage fit features a regular waist, straight leg and a regular fit. A classic pair of denim jeans, the Levi's 501 is the original. A classic fit, the Levi's 514 is a straight leg, straight fit, straight talking pair of jeans. This easy to wear fit suits a variety of body shapes, but is especially good for more stocky built gentleman. 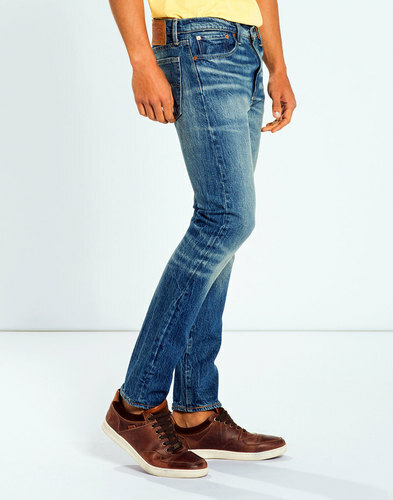 The straight leg and low rise waist makes this a comfy pair of jeans which suits every occasion. The Levi's 504 is a regular, straight fit pair of jeans. Slightly slimmer than the Levi's 501, the 504 is a tad more forgiving with a low rise waist, straight leg shape and a regular fit. Your quintessential pub jeans! 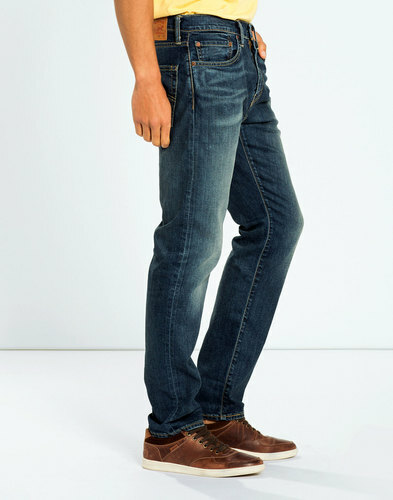 Similar to the Levi's 504 and 514 fits, the Levi's 502 is a regular fit pair of jeans with a tapered leg. Also known as 'carrot' fit, the leg tapers down to a slimmer leg opening at the ankle for a cool and modern shape. A classic fit of denim jeans which seems hard to come by these days! 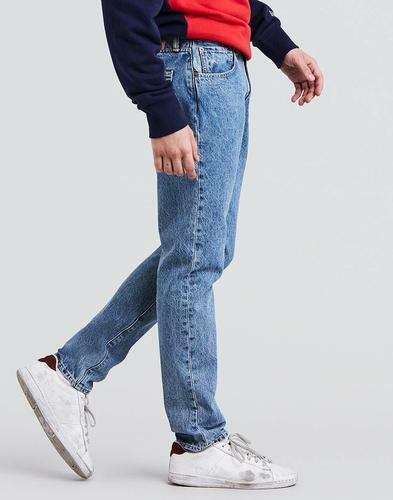 The Levi's 527 is a modern take on a traditional bootcut pair of men's jeans, with a slim cut through the thigh and leg, low rise waist and a not too wide bootcut bottom. The Levi's 527 bootcut is always a popular choice due to it's enhancing fit and shape.